Atlanta United striker Josef Martínez took Major League Soccer by storm in 2017, scoring 19 goals in 21 games. Ahead of the start of the 2018 Major League Soccer season, ESPN's Alejandro Moreno discussed some of the year's top storylines in an interview with the Inquirer and Daily News. The Venezuela-born former Union player and local TV color analyst is a regular pundit on ESPN's studio shows, and occasionally calls games as well. This weekend, he'll be in Seattle for the network's broadcast of the Sounders-Los Angeles FC game, Sunday at 5 p.m.
One of the biggest headlines during the offseason was the number of South American players that teams around MLS signed, and for big money. They are mostly attacking players, and notably young. You and many other people have said for a long time that it's something the league should do more of. What has your reaction been to see it happen now? Selfishly, on one end, I'm extremely happy to see a lot of Venezuelan players coming into the league. That, in one way, I think I'm proud of because perhaps in an indirect way, my being here in MLS and Giovanni Savarese being in MLS [as a player and now the Portland Timbers' new manager] has opened the door for other guys to look at MLS as a possibility. And as an option for them to mature and grow as players. But that's from a very selfish point of view. Overall, the tendency to go and find younger players that could potentially become stars in the league, and could provide MLS with a platform from which they can showcase their talent and then use it to perhaps go elsewhere — I think that benefits MLS in the long run. That younger players from countries like Argentina, or Brazil, or Colombia, or Venezuela, or Uruguay, or wherever it may be, that they look at MLS as a destination league, that's important. Because now it puts MLS in a position where they can be a player around the world in terms of attracting talent to the league. It is a big step that a player like Ezequiel Barco from Independiente [of Argentina] decides to come to MLS as opposed to going other places in Europe. But it's only a big step if these players come here and have success. Because then that's something that generates even more positive ideas and thoughts about what the league is and the direction that the league is going in. The other side of that discussion is: if you're bringing young, up-and-coming talent from other places, and those players are going to develop, and those players are going to feature, and they're going to play, then you have to be able to strike a balance with the young American player. Because if the positions and the places taken up by this young talent coming from elsewhere limit opportunities for the young American player, then it puts the talent development in this country at a disadvantage. That's where MLS perhaps has to find the right balance. But I can understand how it would be the team's priority to win on Saturday, and if that means playing the young foreign player over the American player, then so be it. I can understand the decision-making process of a coach. But in the long run, for the development of the younger player in this country, it would be important for them to be playing week in and week out. There has been a lot of conversation in the wake of the U.S. men's national team's failure to qualify for the 2018 World Cup about what MLS' responsibilities are. The league would say they know they have a responsibility to develop American players, and it's part of what they want to do. But they could also say if they want to that they don't have any obligation to do it. No. And to be honest, that's really when there's got to be a separation of church and state. MLS is a business. And as much as they would like to work side by side with U.S. Soccer, if you are [Philadelphia Union manager] Jim Curtin, and you have the opportunity to win an important game against an Eastern Conference rival, and you think that what gives you the best chance to win that game is to play a certain player that may not be the young American player, well, you have to make the decision that benefits your team. Not the decision that benefits the young player. In the end, that's his responsibility and that's what he gets paid to do. To put his team in the best position to win. And that's just one example, but it goes across the board in MLS. So while they like to work side-by-side, there are going to be a lot of cases in which teams and coaches are going to make decisions that are individual to them and specific to them, and they will have nothing to do with the success of U.S. Soccer. 18-year-old Delaware native Anthony Fontana is likely to be the Union’s starting playmaker in their season opener. We see the conversation often framed as sort of a chicken-and-egg argument: a young prospect isn't good enough to play yet, but won't get the experience needed to be good enough unless he plays. For you as a former player and now an observer, how do you judge when a 17- or 18-year-old player is ready for the big stage? Well, I don't think there's any question that for those players that I have come across, in my experience, whether they're 19 or 20 years old or whatever the age may be — when they show up and they train and they go side-by-side with established professionals, and they do well in those circumstances, then they earn the opportunity to play on the weekend. You know right away which guy is ready and which guy is not. It's not a surprise. If there are guys that are being held back and guys that are not playing consistently as much as they think they deserve or need to be playing, it's because in the judgment of their manager or coach, they're not ready. I think what people need to understand is that if you're a coach, and you know a guy can help you win on Saturday, you couldn't care less what age he is. You couldn't care less where he's from. You just want him to perform the same way that he has shown in training, on the weekend, and help your team win. I understand the argument people saying, "Well, if he doesn't get out there, he won't get the experience." In order to get out there, you have to earn that spot. You have to earn that call-up, if you will. You have to earn that confidence and that trust from the coach, and that happens in training. That trust has to happen not only with the coaches, it also has to happen with the other players. In my experience, I've come across young players who you know are going to play well for you. You know they are going to produce for you. And there are some that simply are not ready to do so. Making that decision is the responsibility of the club. Matt Real, an 18-year-old Drexel Hill native, is a promising prospect for the Union at left back. We know that famous European players who come to MLS sell jerseys and tickets, and move television ratings, in ways that some of these new South American players might not. Jesus Medina at New York City FC, for example, won't be a household name right away. What do you think it will take for those players to catch on with, let's say bluntly, English-speaking MLS fans? The Spanish-speaking fans and media will be paying attention for sure, but English-speaking fans might not initially. It is important to bring these players from South America, younger players who will develop and showcase their talents in this league, but the most important thing is that they play well. 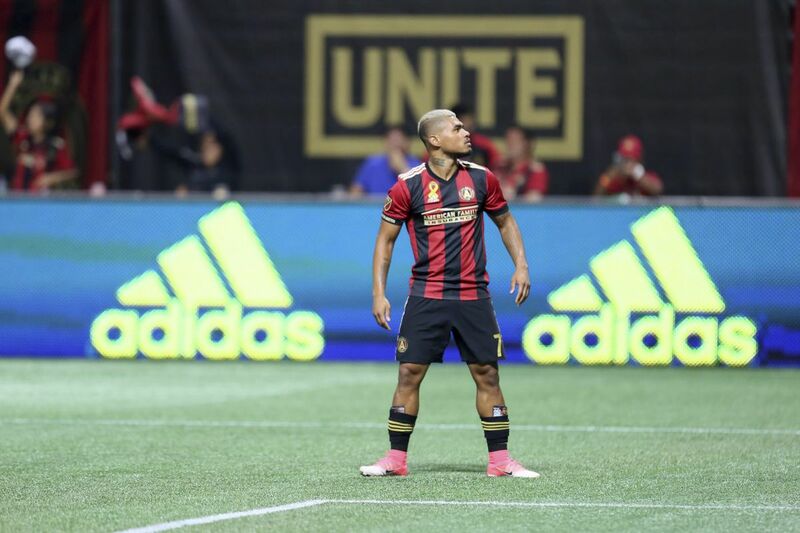 I give you the example of Josef Martínez and Miguel Almirón [at Atlanta United]. Nobody would have known who these players were. People can make up whatever stories they want to make up and say they were all over Miguel Almirón and Josef Martínez before they came to this league, and the truth is that nobody had seen them play. The difference between those two guys and others who have come and perhaps haven't had success is that those guys, right away you knew that you had something different. Right away, you knew that they were going to add value to the league. Goals, assists, productivity, the way that they play. Now they become important names in this league. I don't know that they sell the jerseys that a big European name would, but the truth is that's the sort of player that MLS should build around. That sort of talent is the sort of player that MLS should feature, and build from there. So if people are not willing or are not able to embrace a talent like Josef Martínez or Miguel Almirón, well, that's their loss. If what it's going to take is a bigger name that is not productive, then maybe this is not the league for you. As LAFC kicks off its first season, what do you think they are going to deliver out of the gate? I don't even think they know what they're going to be able to deliver. The challenge — as I know well from my experience with the Philadelphia Union — with an expansion team is that you have to take care of three or four different things that no other team in the league has to take care of. One of them is you have to figure out who you're playing with. Who are the players next to you, what do they like, what don't they like? Who are going to be your buddies in the team? What are the relationships on and off the field? The logistics of what happens with your family — where are they going to stay, where are you going to stay, your housing situation? And on top of that, you're expected to be winning games right away. You're also expected to grow your place in the market, to establish your place in the market with being a new team. You have to be out there marketing yourself. You have to establish yourself on the field, but then you're a marketing machine off the field. That's an expectation on the players: that they have to produce on the field, but they also have to do appearances off the field. It's challenging. But there is no better way to establish yourself in a market than by winning. I assume this team will be ready to play, and create a real, tangible rivalry with the L.A. Galaxy. And oh, by the way, no better year to come into L.A. after the sort of year the Galaxy had last season [finishing with MLS' worst record]. That gives them an opportunity, that gives them a window, where if they're successful right off the bat, maybe establishing themselves in the market won't be as difficult. You mentioned Giovanni Savarese earlier, and him becoming the new manager of the Portland Timbers. You know him well and have for some time. But as a big-picture question, how significant is it that a coach who succeeded in the second division with the New York Cosmos has gotten a shot to move up to MLS? And to one of the league's bigger clubs, too. Sometimes when teams bring coaches in from abroad, without any real experience of soccer in this country, and those coaches don't succeed, then it always goes back to the same reason: "Well, he doesn't know the American player, he doesn't know the challenges of traveling in MLS and the challenges of MLS as a whole." The things that are always brought up. Giovanni, not only does he know those challenges having played in the league, but he's had to deal with even more trying circumstances having coached in the second division, and having been successful at that level. If there's anybody who has earned this opportunity, it's Giovanni Savarese. He has gone through the stages, and through the necessary steps to get to this chance. It has not happened easily, it has not happened overnight. There's a lot of experience and a lot of know-how in terms of what he has been able to accomplish in his coaching career. And now he's taking a step that I think he deserves. I have no doubt that he's going to be successful. He brings a different perspective. He's not in the same coaching carousel that coaches get on and off in Major League Soccer. This guy has a different view, a different way of working, and I think his project will be very positive for the Portland Timbers.